The FS N5850-48S6Q is a Top-of-Rack (TOR) or Leaf switch in a compact 1U form factor, ideally suited for high performance and programmable data center environments. 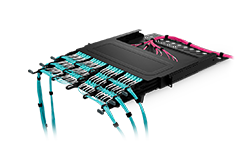 The N5850-48S6Q provides 48 SFP+ 10Gb ports and 6 QSFP+ 40Gb ports, and each 40Gb port can be configured as 4x10Gb up to a total system limit of 72 10Gb ports. 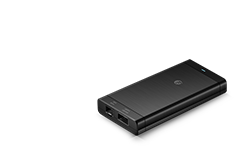 It delivers excellent low latency and power efficiency in a PHYless design, while offering high reliability features such as redundant and hot swappable power supplies and fans in forward and reverse airflow configurations. 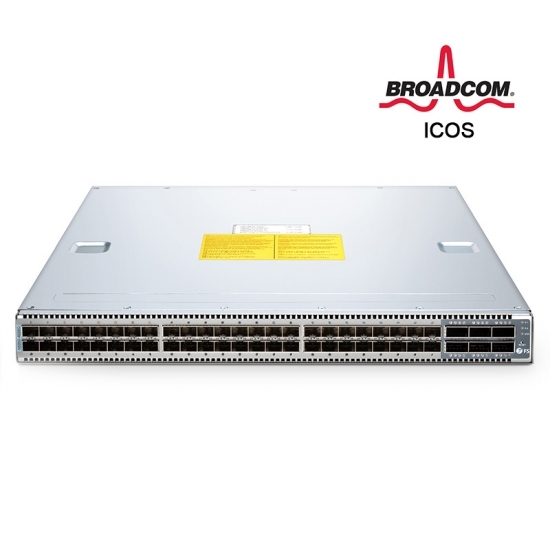 With support for advanced features, including MLAG, VxLAN, SFLOW, SNMP etc, this switch is ideal for traditional or fully virtualized data center. 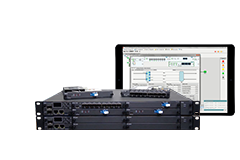 The N5850-48S6Q supports current and future data center requirements, including a x86-based control plane for easier integration of automation tools, an ONIE installer for 3rd party network operating systems and compatibility with Software Defined Networks via OpenFlow 1.3.11.Additionally, N5850-48S6Q supports the advanced hardware based VxLAN feature to support over 16M virtual networks. 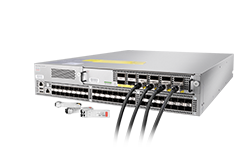 The N5850-48S6Q provides full line-rate switching at Layer 2 or Layer 3 across 48 x 10Gb ports and 6 x 40Gb uplinks. We've cooperated with Fiberstore for several years. 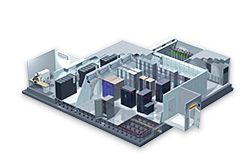 Recently, we have a big project which needs about 6 units of switch. We learned that FS released several new products after cooperating successfully with Cumulus software companies. We ordered one unit N5850-48S6Q to have a test first. They offer 1-year free tech support. Also, the price is fairly low compared with other brands. Very satisfied! Fiberstore is our reliable partner! I had had a good luck with FS PoE switches on June 22th this year, so I chose this switch without doubt when we moved & expanded our office. And they didn’t let me down, still competitive price with good stuff. We have a relatively simple network in our datacenter. Only two VLANs, 10.10.0.x and 10.100.0.x. We're rolling out a pair of 40G switches as the core and using SFP to downstream stacks in the racks. Good switch, no any problem at all. I'm trying to find a switch connecting to a older 3560G-48TS-E switch to merge some new infrastructure with some legacy equipment until all of the legacy equipment is replaced. I purchased from fiberstore, actually I don't expect to get such a cheaper but high quality switch, it's totally working fine in our environment, worth waiting for delivery! I like this switch very much, it arrived in our data base in a two days. 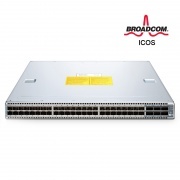 The N5850-48S6Q is equiped with Broadcom ICOS and Intel Rangeley C2538 2.4Ghz 4-core CPU. I have been watching the working status for weeks, and the optics from this site can also work the switch. Everything goes well now! I placed 1 pcs of this switch to test, as I just want to change our switch supplier whom products are too expensive. I prefer to more economical and practical stuffs, and then I found the FS self-innovate switch. I have purchased many optics and cables from FS these years, and this is the first time I know they have marched into the switch field. I deedply trust FS's quality and service, we are old friends and go together for a long time. Sure enough, the test result is good, then I decide to buy 5 pcs more for my data center. Highly appreciated their products. Everything as good as as advertised! Everything as good as as advertised. Price is competitive, my experience with FS.COM was excellent. I purchase it for the infrastructure upgrade of our lab. It works great, as well as the matched transceivers. 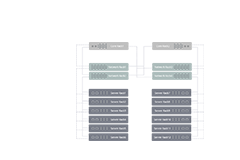 The switches are being deployed across a mix of server and storage infrastructure. 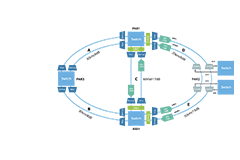 Consistent connectivity, security, and visibility. 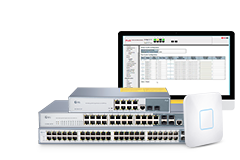 They could meet our Ethernet and storage networking requirements and support true 40GbE Ethernet. 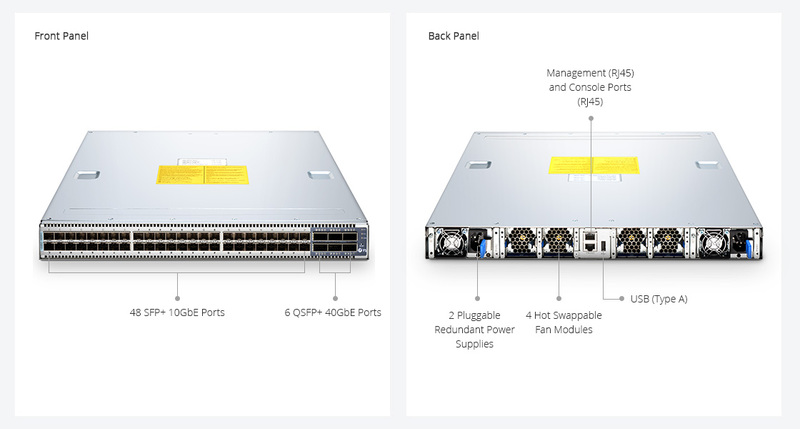 At first, I just want to order some transceivers from FS.COM, with the order placed, my Account Manager emailed to me to asked about the switch model, in fact, I was looking for a Cisco switches somewhere else that time, I truthfully told her. She told me FS also offer switches, and recommended one type to me that can totally meet my demand. The price is great. I wanted to try it but was a little hesitating. Later, my Account Manager share me the data sheet and test report of this switch, i decide to give it a shot finally. I order one, and now, all goes well. I've heard that FS.COM propel the switch this year. I'm very excited and the price is really attractive. I confirmed with FS colleagues with different features, including OS,VPLS function, warranty and technical support. After the consulting, I decide to have a try.